Are you looking for reliable and trustworthy HR generalist job oriented training in Delhi? If yes, then Talent Magnifier is just the place you are looking for. We are a renowned and leading Human resource certification course provider in Delhi with highly experienced and certified teachers, unmatchable learning environment, competitive and latest course material, 100% job placement assistance, real time practical training under expert supervision and flexible class timings. Our HR professional courses allows the students to learn all the important duties of an HR such as recruitment, training and development, performance management, employee welfare, implementation of laws and ethics, developing public relations, managing disputes and maintaining work atmosphere. 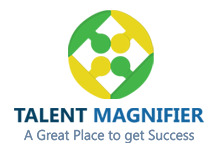 The human resource certification training courses offered at Talent Magnifier include HR Generalist, Payroll processing, IR and Legal Compliance and P&S/T&D/R&D/ OD/Business HR course. We also provide Online HR Practical Training in Delhi for those candidates who can’t attend in houses classes due to their time schedules.